The University of Alicante has a plan in place in order to increase and foster the use of Catalan and other languages in teaching activity ( PIVALD ). During the academic year 2018-19, tuition in Catalan was offered in more than 300 subjects, whereas teaching in foreign languages was available in over 500. Click here to see the list of subjects . 1. What are the advantages of studying in Catalan ? Learning and speaking Catalan, along with Spanish and English, makes us proficient in the three most widely used languages in our social and economic environment. Catalan is used in 22 universities as a working language in teaching, research, cultural and institutional activities, and it is taught in more than 150 universities worldwide . 2. And how about studying in English or French ? Studying in English and French increases your practical skills, makes exchange programmes with universities using them as the native or working languages easier, and allows you to continue your studies, conduct a traineeship and engage in research activities abroad or in multilingual teams. This is a very useful tool to enter the job market. 3. How can I study in Catalan, English or French ? By enrolling in courses taught in these languages. For more information, contact the Languages Service or the centre teaching the subject you are interested in. 4. 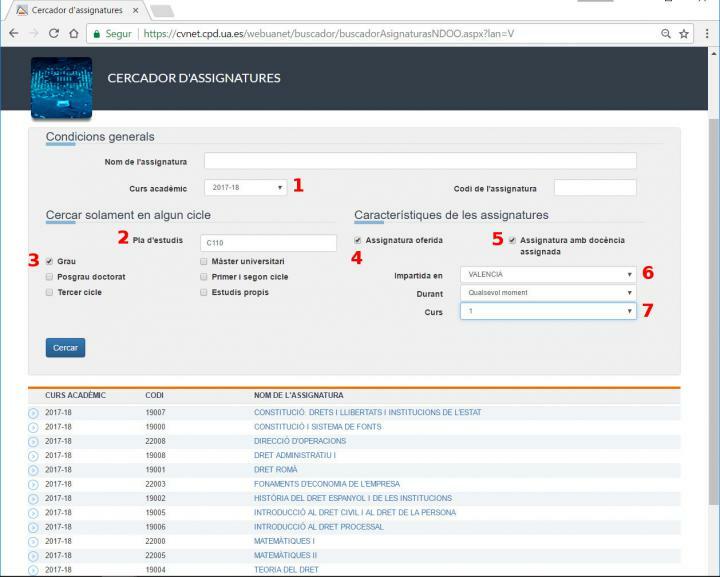 What does registering in a course taught in Catalan, English or French imply ? The chosen language will be used in the courses (lectures, practical sessions, teaching materials, bibliography, etc.). 5. Which language should I use ? As envisaged by the University of Alicante Statute and regardless of the tuition language established for each subject within your Undergraduate or Master's degree, as a student in this university you have a right to use both Catalan and Spanish in class, in your exams, in your assignments, in your oral interventions, in your tutorials with teachers, etc. Nevertheless, this does not apply to subjects where a language is taught, subjects taught in Catalan or Spanish, and subjects taught in an international language where teaching in said language has been officially established. The previous criteria also apply to courses aimed at internal language accreditation in either Catalan or a foreign language, as well as to Catalan and foreign language teaching certificate courses. 6. Can lecturers be requested to change the language of tuition? Students enrolled in a certain group already know what the tuition language will be. This information is made public during registration and before the start of the classes. Also, it is binding for both teachers and students ( linguistic security ). 7. Does studying in a certain language give students the right to a language competence certificate ? No, it does not, although it provides students with better language skills that can ultimately help them pass Catalan and English tests held by the UA (CIEACOVA), the Valencian Language Certification Board, and others. Also, students can get the language teaching competence certificate by enrolling in courses taught in Catalan, English and French. Also, the UA internally recognises several foreign language levels that are required for the final year project ( B1 ) and for participating in international university exchange programmes. This recognition is internal only, and does not come with a title. 8. Are students required to have a certain language level to enrol in these courses ? Students are only required to understand the lecturers' explanations in these languages without too much trouble. The Languages Service , the Catalan self-learning centre and the Alicante Language Centre have resources available to improve your language skills. However, in some cases a certain level is required to enrol in a course, such as High Academic Performance (HAP) groups taught in English. 9. What can I do if there are no courses taught in Catalan, English or French in my undergraduate degree programme ? You can contact the Languages Service. The University of Alicante has implemented a plan to increase teaching in Catalan and in other languages ( PIVALD ) that aims to expand tuition in these languages in all degrees. 10. How can I know which subjects are taught in Catalan, English and other languages in my degree ? Go to the Subject browser and fill in the search form. 1. Choose an Academic Year . 2. Write the name or the code of your study programme. If you do not know the code, you can find it on the following list by choosing the centre it is taught by. 3. Activate New undergraduate degrees option . 4. Activate Subject offered option . 5. Activate Subject with lecturer assigned option . 6. Choose language of teaching ( Taught in ). 7. Choose Year (first, second, third...) or leave this option empty to select all the years. You can also search for a specific subject if you know its name or code, in which semester it is taught, etc.